Then view plan 2C - Italian elevation to view the exterior of the home (the one shown when you immediately view the above link is not the correct home, you must select Plan 2C to see the exterior). Once you've viewed the exterior, you can take the 3D tour to view the interior of model. 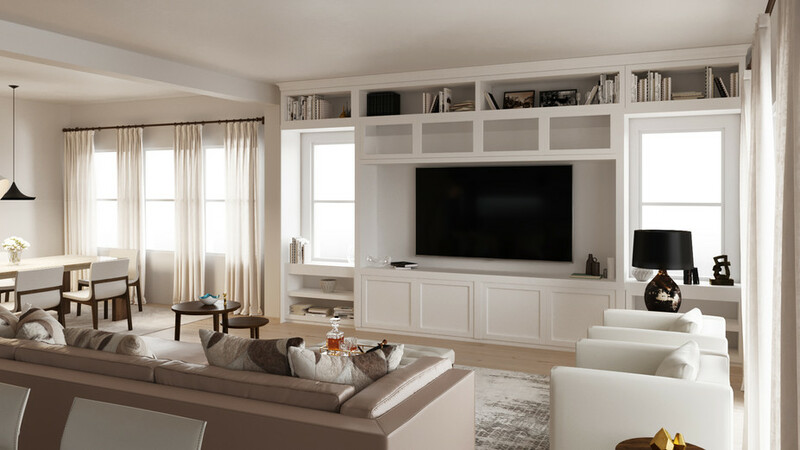 I recommend you view all 3 Plans 3D tours (Residence 1&3) since some of the design items in those plans will be applied when I walk you through the model unit. 3 People will occupy the home - Husband, wife, 4 yr old boy. Rear of house faces a mountain forrest preserve with lots of green/black foliage. Room will not have a fire place, but will have a flat screen placement similar to what is shown on PLAN 1 built-in. Don't like counters shown in both model pics. 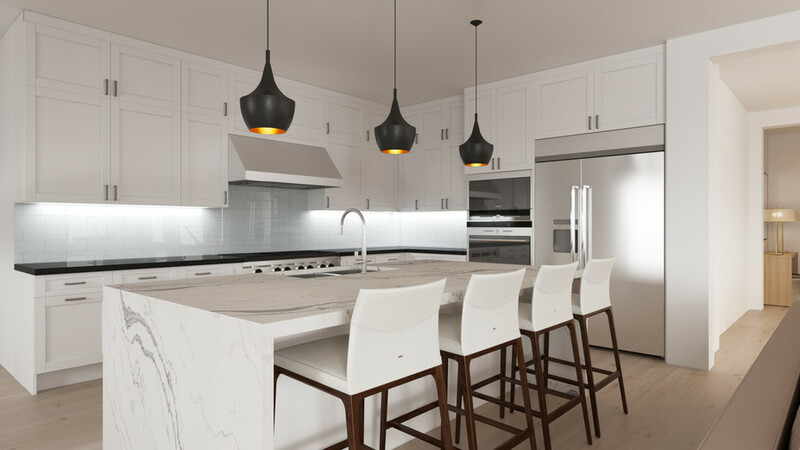 Kitchen cabinets are white shaker with modern long pulls (chrome steel tubular pulls) as shown in Plan 1 model. Kitchen faucet (and whole house) is Moen 90 degree collection. 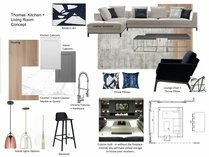 Need help with paint, wall tile, lighting and counter selection. See PLAN 1 model for cabinet, pull, and faucet styles. 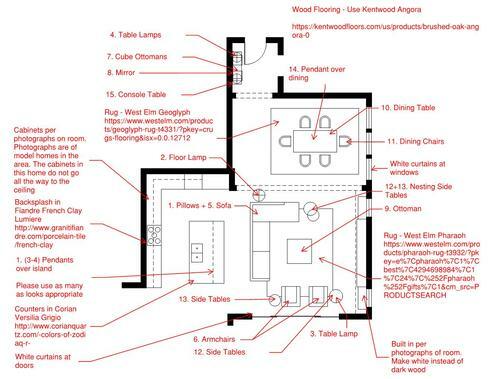 See PLAN 2 model for kitchen layout and photos. 2 j-boxes are located above island for pendant lights. We are complete. Thanks for all your help and capturing our style so well. This was great! Since your room is large your color options with this room are quite broad. I recommend sticking with lighter neutrals to match your color scheme. Como Sectional Chaise Sectional Sofa Discount link available to project holder only H 27.25" W 128.5" D 79.5" Seat H 15.5"
Quantity: 2 Arm Chair Discount link available to project holder only H 27.25" W 31.5" D 33.5" SEAT H 16"
Since your room is large your color options with this room are quite broad. I recommend selecting neutrals that are cohesive with your tile colors. Because this room is combined with the living space I recommend selecting a neutral that plays well with the palette in both rooms.